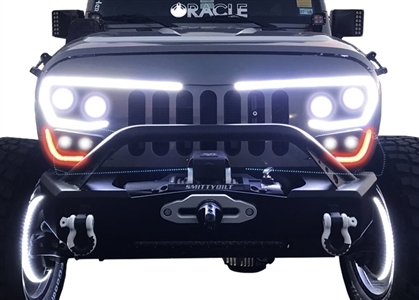 The Vector Grill by Oracle Lighting gives JK owners the first full featured replacement grill that incorporates LED light emitters for Low Beam, High Beam, Turn Signals, and a Dynamic LED DRL. 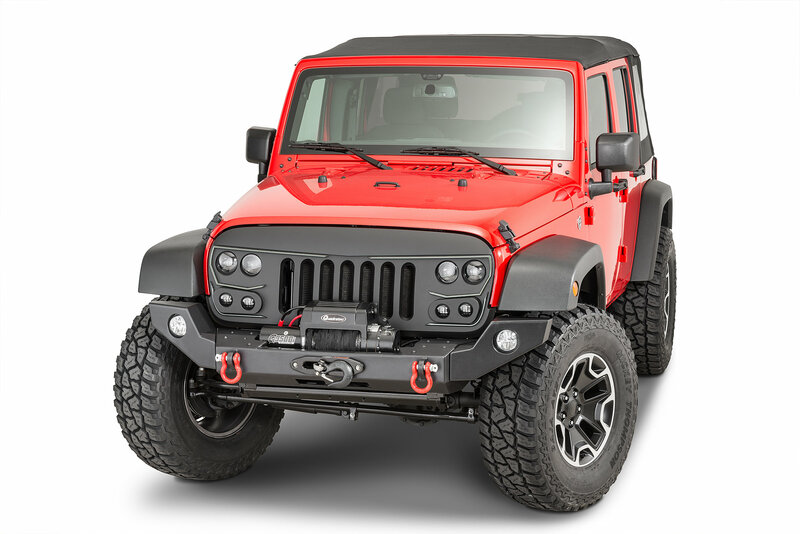 This grill will completely replace the factory grill on any Wrangler JK, and is easily installed with no drilling, cutting or modifications to the vehicle. 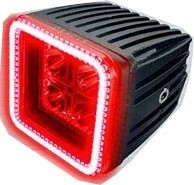 Each LED emitter can be adjusted independently, so the light focus is on the road where you need it, and not into the eyes of oncoming traffic. 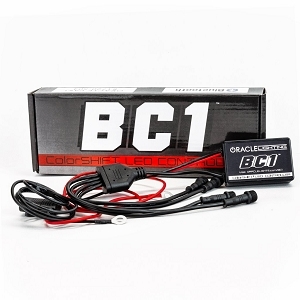 The grill comes ready to install right out of the box and is a true plug and play installation using the factory wiring. 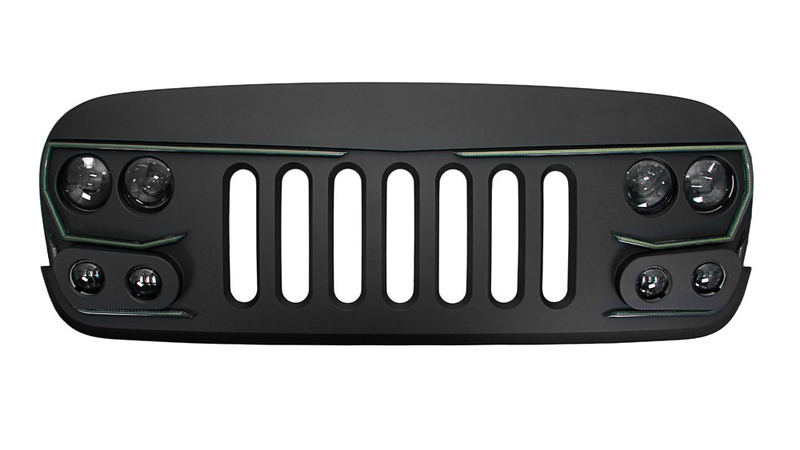 The Vector Grill incorporates an aggressive look paired with rugged durability which today'sJeep owners demand! 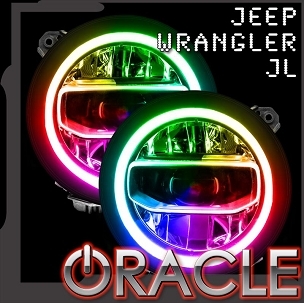 The Vector Series Grill by Oracle Lighting includes LED emitters for Low Beam, High Beam, Turn Signals, and DRL Functions that will stand out on or off road! 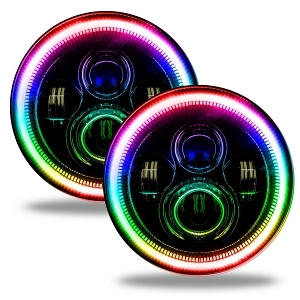 The grill will pump out an impressive 5,600 combined lumens (Dual Low Beam LED & Driving Beam LED) on the low beam, and 7,200 combined lumens when switched into high beam mode. 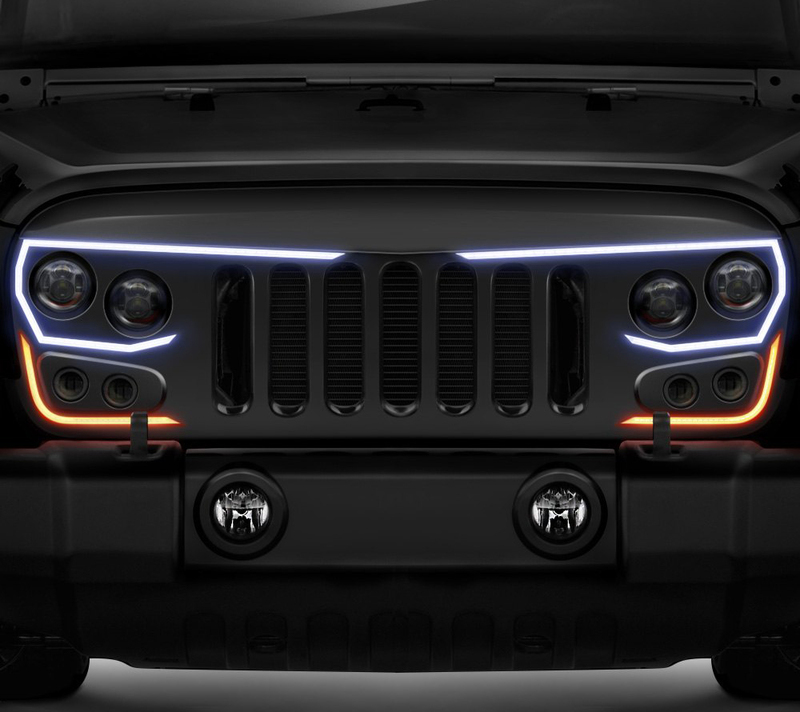 This grill will not only give the Wrangler JK an upgrade in attitude, but will light the way in any dark landscape! This Grill is a true plug and play install right out of the box! All of the wiring has been pre-installed and is ready to simply plug into the factory wiring harnesses. Installation of the grill could not be easier, and utilizes factory mounting points. No drilling, cutting, or modification to the Jeep is required for installation. 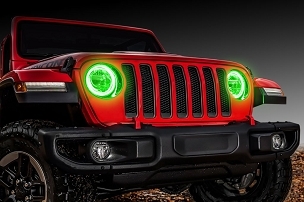 The Dynamic LED Daytime Running Light(DRL) is designed specifically to increase driver safety by making the Jeep more visible to other drivers on the road. The DRL features an exciting startup sequence where the lights come alive! The LED turn signals are also featured on the grill and light up in a bright amber color.